You are here: Home / News / News / The ‘Power of Football’ transforming lives! One of the EFL Trust’s key messages of promoting ‘A Football Experience for Everyone’ using the power of the club badge has been portrayed brilliantly through Plymouth Argyle’s ‘Short Breaks’ project. 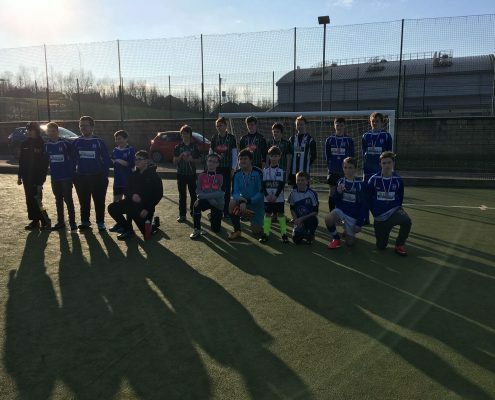 ‘Short Breaks’ is an initiative delivered in partnership between Argyle Community Trust and Plymouth City Council to introduce football to young people with autism, or awaiting diagnosis for autism. The focus is all about fun and providing a stable environment for the youngsters to enjoy football, while also giving parents and carers some respite. The positive impact of Short Breaks can be seen in this fantastic feedback they have received from one very proud mum. “Short breaks has been life changing for our son, it has allowed him to join in, grow in confidence and be part of a team, which is something he has been unable to ever do before. 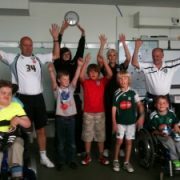 One young participant on the project added: “I never played football until I was 10 as I was too scared. [Coach] Josh [Grant] always looks after me, especially at the beginning when I didn’t feel confident to join in. Now I train with the team on a Tuesday and I even scored a hat-trick. To find out more about Short Breaks and all the provisions available with Argyle Community Trust, please contact Health and Disability Officer Josh Grant on josh.grant@pafc.co.uk or call 01752 562561.
https://www.efltrust.com/wp-content/uploads/2017/01/Shortbreaks-300x225.jpg 225 300 EFL Trust https://www.efltrust.com/wp-content/uploads/2016/06/efltrustlogo.png EFL Trust2017-01-24 11:55:492017-01-25 14:44:37The 'Power of Football' transforming lives! Street Violence Ruins Lives Day Celebrated at Charlton #2ndHalf: Walking football gathers pace!